Bare beams stand where drywall will soon go up inside our new lab at Sacramento Valley Station. A coat of sawdust covers the wood floors. Below us, the train station hums with activity, just as it has for the past 90-plus years. 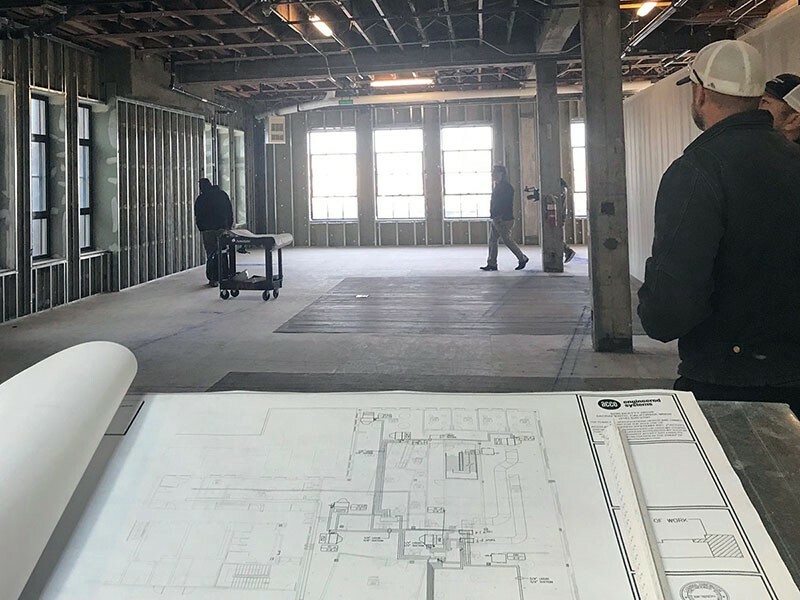 Pre-construction commences at our future home in Sacramento Valley Station. Even before then — 160 years ago, to be exact — McClatchy was leading the way in storytelling, creating essential local journalism. And we’re continuing that tradition of excellence in a new way. What’s different is we’re embracing emerging technology to make a significant impact. We’re standing on history, but we’re also starting with a blank canvas. And now we need the team to help us decide where to start. Back in February, McClatchy announced New Ventures Lab, an expansion that represents our latest commitment to visual storytelling. And for the last several months, we’ve had our heads down, hiring our initial staff, engaging with the journalism and technology communities and designing our workspace. The response from those working at the intersection of business, technology and journalism has been refreshing and exciting. But we’ve also learned quite a bit about who we are and the impact we want to have on these communities. The most important things we’ve learned so far are (1) innovation can happen anywhere, and it’s important to be engaged with creative communities both inside and outside of the traditional tech hotbeds, (2) physical space is important for collaboration (we’ll expand on this in a future post) and (3) McClatchy’s deep history of storytelling will serve as a critical foundation as we move forward. Let me tell you what we’re building. Our vision is to build a lab where people and ideas can come together to advance nonfiction storytelling. We’ll start with immersive technologies, meaning AR/VR/MR and 360 video, and we’ll work to explore how to creatively reach new audiences. With the intentional curation of people and ideas, we’re maintaining our commitment to storytellers by preparing them for the future and teaching them to engage with their audiences differently. We’ll do this by hiring a full-time team because the work we’ll need to execute is best done in teams, not as individuals. We’ll introduce our incubator in 2018 with rotating fellows that will allow experts to carry out their ideas. Our goal: Create friction! What will our team create? We’ll focus on stories with local impact, allowing viewers to experience their immediate environment in a more personally valuable way. We’ll help our audiences understand the world around them with new products and experiences that will engage, inform and inspire action. We’ll reach intellectually curious consumers: Yes, they’re early adopters, but we think that definition is too limiting. The audiences who’ll engage with our work are heavy media consumers and they’re savvy (technically and visually). And finally, why will this work matter? We’ll experiment with purpose, equally valuing technology, creative and business, with an eye on producing something practical. Creating new forms of storytelling isn’t a new initiative for McClatchy. We’ve got 30 local newsrooms across America delivering high-quality products that have received industry recognition and a shelf full of Pulitzers. But it’s time to step further out of our comfort zone, strap a rocket to our backs and define what’s next. We don’t believe we’re the sole purveyors of knowledge, and in order to lead the way, we can’t go at it alone. We’ll expand our partnerships with other industry leaders to host workshops, trainings and showcases. The beneficiaries of our work will be those inside McClatchy and beyond. This is the culture we’re fostering at New Ventures Lab. We’re now accepting applications to hire our core team. 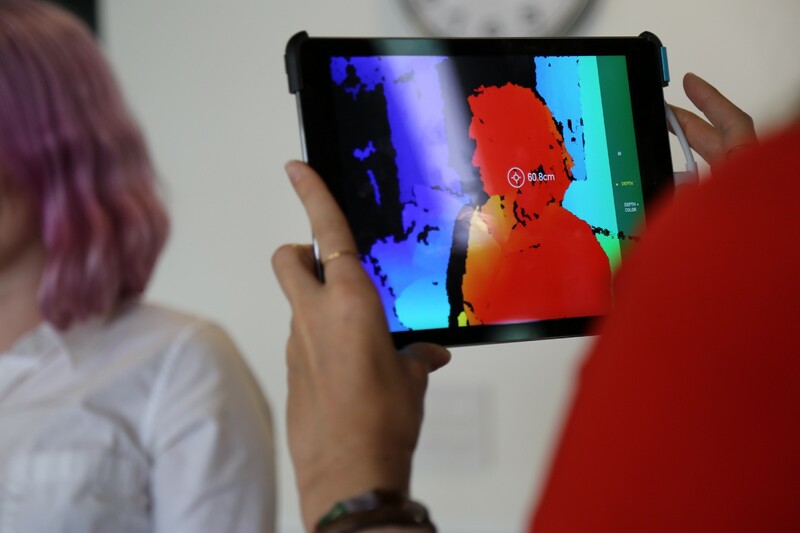 We’re looking for people with diverse skill sets (artists, technologists, developers, etc.). The commitment level is high, but we’ll challenge the conventional ways of doing things. We’ll have an entrepreneurial vision and want both up-and-comers and stars to define the scope of our work. Does this sound like you? If so, apply now to join us in Sacramento. *This post has been updated to reflect our new brand. Some older associated links may still reference our previous name, Video Lab West. Director of Strategic Video Initiatives, McClatchy. Head of McClatchy New Ventures Lab. Intrapreneur with a deep focus on how technology impacts storytelling.